WASHNote supported the creation of the country-led monitoring toolbox that was a developed under a partnership of UNICEF WCARO, IRC and Akvo with support of DGIS. It provides a systematic approach to develop national WASH M&E plans based on a participatory assessment of 12 components of national WASH M&E systems. 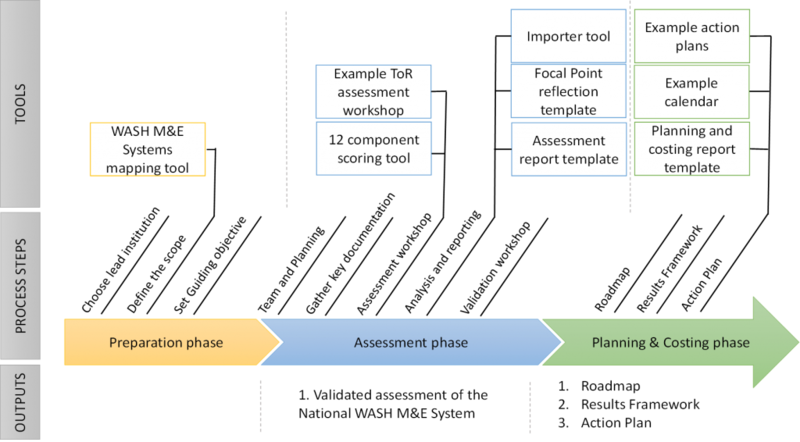 The country-led monitoring toolkit has tools that support a participatory process of evaluating the entire M&E system and developing an action plan based on participant recommendations. This blog was jointly produced by John Butterworth (IRC Ethiopia Country Director) and Nick Dickinson (IRC Associate / WASHNote). It was posted on IRCWASH.org.